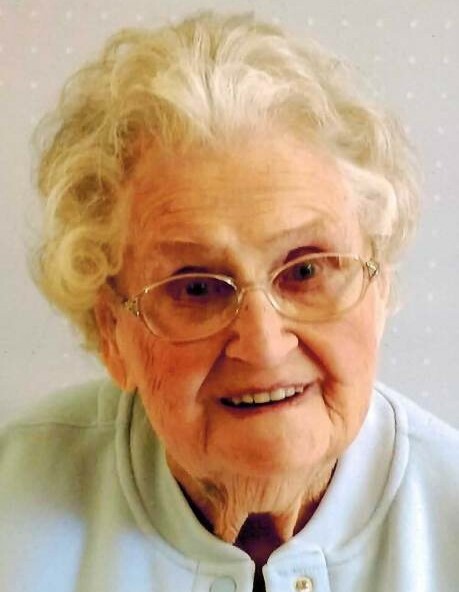 Helen Rita Neiling, age 99 of Deshler died Sunday, November 25, 2018 at Briar Hill Nursing Home, North Baltimore Ohio. She was born on September 29, 1919 in Hamler, Ohio to the late Raymond F. and Mary Agnes (Konzen) Gordon. On January 2, 1943 she married Sylvester L. Neiling at St. Paul’s Catholic Church in Hamler. Sylvester preceded her in death on April 5, 1983. Helen Rita was a homemaker and was very devoted to her family. She graduated from Deshler High School. She worked as a bookkeeper for the Koppenhoffer Brothers of Deshler. She enjoyed quilting, playing cards, cooking, baking, and making rosaries. She and her husband raised their nine children on the farm. She helped with the farming by driving tractors, planting a huge garden, milking cows, and raising chickens. She spent her lifetime caring and providing for her family in her gentle and very quiet ways. She was a member of the Immaculate Conception Catholic Church. She also was a member of the Prayer Group and the Rosary Mission Guild. She made over 21,000 rosaries in her lifetime. She was active with the Henry County Senior Center. She volunteered with Meals on Wheels, Bingo at the nursing home, and a member of the Bavarian Club. 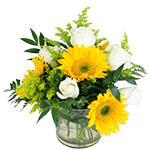 She is survived by her children, Robert (Jan) Neiling of Napoleon; Karl (Gerri) Neiling of Perrysburg; Janet (Larry) Sattler of Delta; Eileen (Lester) Wilhelm of St Marys’; Teresa (Dale) Weber of Deshler; Susan (Jim) Flowers of Custar; Mary (Mike) Schriner of Ridgeville; David (Carol) Neiling of Liberty Center; Daughter-in-law, Jill (Kevin) Sautter of Weston; two brothers, Donald Gordon & Walter Gordon; a sister, Sister Madelyn Marie Gordon; sisters-in-law, Donna Neiling; Leoma Gordon and Ramona Gordon. She has 35 grandchildren, 61 great grandchildren, and 5 great great grandchildren. Along with her parents and husband, she was preceded in death by her son, Gene Neiling in 1988, a great grandchild, Dalia Neiling in 1998, her brother, Robert Gordon, her sisters, Mary Haffner, Catherine Gerschutz, and Clara Pittelkow. Also preceding her in death were her brothers-in-law, Raymond and Clarence Neiling, Robert Haffner, Francis Gerschutz, Donald Pittelkow, sisters-in-law, Ruth Neiling, and RoseMary Gordon. A mass of Christian Burial will be celebrated at 10:30 am on Saturday, December 1, 2018 at Immaculate Conception Catholic Church, Deshler with Father Art Niewiadomski officiating. There will be visitation at the church one hour prior to the service. Interment will be in Woodlawn Cemetery, Deshler. Visitation will be from 2-8 pm on Friday November 30, 2018 at the Feehan-Rodenberger Funeral Home in Deshler. A Rosary Service will be held at 7:30 pm. The family suggest memorials be made to the Immaculate Conception Catholic Church, Rosary Mission Guild or the Donor’s choice.